A find of 13 coins compising gold 'Croeseids' and archaic silver issues of Abdera, Aegina and Cypriot cities. Apadāna foundation deposits, Taḵt-e Jamšid (lit. 'Throne of Jamšid'). Pārseh (Persepolis), Fārs province, Iran. Reign of Darius I (522-486 BC). Excavations of E. Herzfeld (Oriental Institute of the University of Chicago), 1933. 10 of the coins are kept in the National Museum of Iran, three are reportedly in the Marble Palace Museum. The thirteen archaic gold and silver coins were discovered in two groups, in two foundation deposits buried, respectively, at the northeastern and southeastern corners of the great audience hall of the Apadāna, within the Achaemenid palatial complex at Persepolis (Illustrated London News, 22 February 1936: 328; Herzfeld 1938: 413-414; Schmidt 1953: 70, 79, 98 fig. 42 A-B, 99 fig. 43). The coins were placed in each deposit beneath a stone box, whose contents —a pair of tablets, one of gold and one of silver, engraved with identical trilingual inscriptions (Old Persian, Elamite, Akkadian)— proclaimed the extent of the realm of Darius I 'from the Scythians who are beyond Sogdiana, thence unto Ethiopia; from Sind [i.e., the Indus], thence unto Sardis' (Kent 1953: DPh). Coinage is not attested in earlier Near Eastern foundation contexts (e.g., Ellis 1968). Its presence in the Apadāna deposits could imply that Darius I was combining in this instance a time-honored Near Eastern foundation ritual (i.e., the deposition of inscribed tablets) with a custom that was current in the West (e.g., at the archaic temple of Artemis at Ephesus, Hogarth 1908: 74-93) (Bejor 1974: 740, n. 25; Zournatzi 2003: 2). As some scholars assumed, the coins may have been used on this occasion as ‘bullion’ (Curtis and Tallis 2005: 58 no. 4), thus merely reflecting, perhaps, 'a desire to match evenly, as with the inscribed tablets, gold and silver' (Kagan 1994: 40), or some 'overarching concept of non-Persian wealth acquired, but not necessarily tied to a specific idea of actual political control' (Root 1988: 5; cf. eadem 1989:35). In yet another interpretation, they could have been included in the deposits due to symbolic messages of import expressed by their iconography that were recognizable in an Achaemenid context (e.g., the lion-and-bull motif featured in common on the 'Croeseids' and in decorative friezes adorning the staircases of the Apadāna, Price 1989: 50). Or, coins (which were associated par excellence with the West at the time) could be directly relevant to Darius’ expansionist agenda, in which conquest of western territories occupied a prominent place. Seen in this light, the Apadāna coins could be intended as ‘symbols of distant western dominion’ (Stronach 1985: 444 n. 47). To judge, furthermore, by their particular minting places (Sardis, Aegina, Abdera, Cypriot city-kingdoms), these coins could refer, more specifically, to Darius' control of important western sources of wealth and leading centers of western commercial/economic activity (Zournatzi 2003, also arguing that the states represented by their coins in the deposits could have been, all of them, under Persian sway by the time of the foundation of the Apadāna). Bejor, G. 1974. 'La presenza di monete nei depositi di fondazione dell’Apadana a Persepoli.' Annali della Scuola Normale di Pisa, ser. 3, 4/3: 735-740. Curtis, J. and Tallis, N. (eds.) 2005. Forgotten Empire. The World of Ancient Persia. London. Ellis, R. S. 1968. Foundation Deposits in Ancient Mesopotamia. New Haven. Herzfeld, E. 1938. ‘Notes on the Achaemenid coinage and some Sasanian mint-names.’ In Allan, J., Mattingly, H. and Robinson, E. S. G. (eds. ), Transactions of the International Numismatic Congress, London, June 30 –July 3, 1936. London: 413-426. Hogarth, D. G. 1908. Excavations at Ephesus. The Archaic Artemisia. London. Illustrated London News. 22 February 1936: 328. Kagan, J. H. 1994. 'An archaic Greek coin hoard from the eastern Mediterranean and early Cypriot coinage.' Numismatic Chronicle 154: 17-52. Meadows, A. R. 2003. 'The Apadana foundation deposit (IGCH 1789): some clarification.' Numismatic Chronicle 163: 342-344. Price, M. J. 1989. 'Intervention’ [to Root, M. C. 1989. 'The Persian archer at Persepolis: aspects of chronology, style and symbolism']. In Descat, R. (ed. ), L’or perse et l’histoire grecque. Revue des études anciennes 91.1-2: 50. Root, M. C. 1988. 'Evidence from Persepolis for the dating of Persian and archaic Greek coinage.' 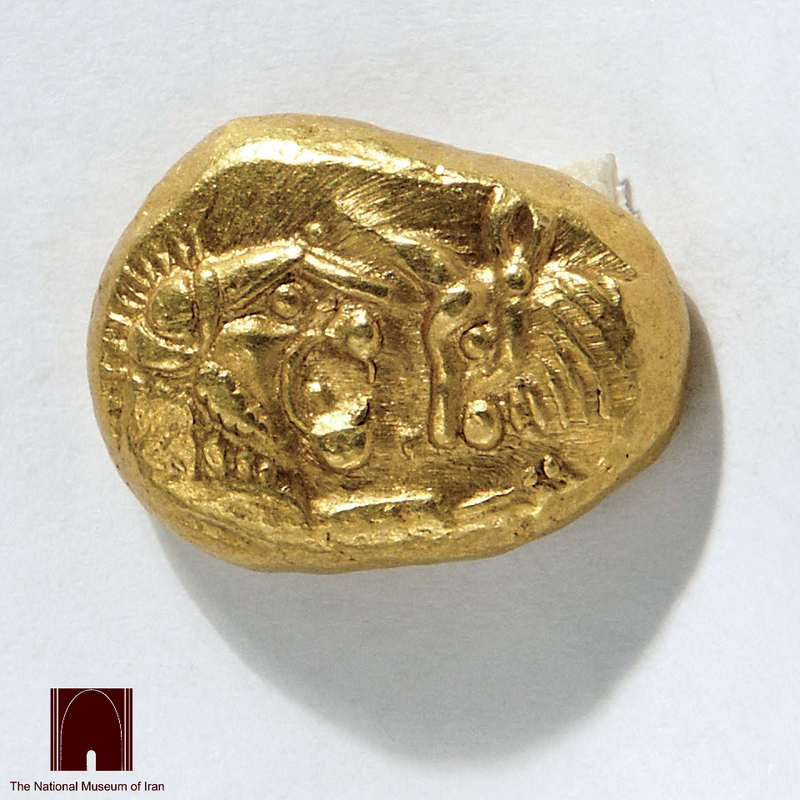 Numismatic Chronicle 148: 1-12. ——. 1989. 'The Persian archer at Persepolis: aspects of chronology, style and symbolism.' In Descat, R. (ed. ), L’or perse et l’histoire grecque. Revue des études anciennes 91.1-2: 33–50. Stronach, D. 1985. 'The Apadana: a signature of the line of Darius I.' In Huot, J.-L., Yon, M. and Calvet, Y. (eds. ), De l'Indus aux Balkans. Recueil à la mémoire de Jean Deshayes. Paris: 433-445. Zournatzi, A. 2003. 'The Apadana coin hoards, Darius I and the West.' American Journal of Numismatics 15: 1-28.